While Facebook has had its problems in the past few weeks, there are still a lot of people that aren’t just keeping their profile but continuing to use the platform multiple times per day. As for a business though, Facebook’s changing algorithm of giving more “love” to friends and families is continuing to haunt businesses and brands. In other words, unless you “pay-to-play” a company’s organic reach on their posts will continue to be minimal even if you have 50,000 Page Likes. That doesn’t mean you should give up Facebook. You simply need to tweak your strategy on how to get the most out of your organic reach. That starts with the “Art of Posting” as not all posts you create on Facebook are created equal. (1) Insert That Image – Your image is probably the most important part of your post. That is because people are visual and are more apt to engage with you not on what you write but what you show. While there is a lot of debate on the type of images you should show on Facebook, there is one thing for certain. Facebook hates text within images. They despise it in fact. If your image has more than 20 percent text, you might as well not even post it. Your overall reach will be atrocious. Let the picture tell the story and keep the words to a minimum. (2) Include The Tag – By tagging another person or business in your posts will alert that other person or business. Everyone loves to get credit and accolades from others and this is one way to show it. By tagging others in your posts increase the chance of that other person or business will engage or share your content. To tag another page or person in your post simply utilize the “@” symbol before typing the name of the person or business in the copy part of your post. A list will than appear and click on the name you are looking for. By doing this will also make their name hyper in your copy so people can easily visit their page you are referring too. Just make sure you are tagging the right company and/or person as many companies and people have the same name. (3) Don’t Forget The Hashtag – While Facebook isn’t like Twitter and Instagram where users love to bombard Tweets and Posts with (#) hashtags to increase reach; Facebook is hashtag friendly as well. Just not to the extent of other major social networks. That means you shouldn’t spam the heck out of them in every post but it is good to include one or two that are relevant as it is known to help increase reach and hopefully awareness of your content and page. While having a budget is for sure the best way to utilize Facebook in 2018 you can still get some type of organic reach with your content by following some best practices such as the ones above. For additional tips and best practices as well as detailed Facebook marketing strategy for your business or brand contact The Interactive Imprint today at 954-254-1650 or visit TheInteractiveImprint.com. I have been a social media consultant for the past half decade. Before then I worked in traditional advertising for various South Florida ad agencies. Currently I work with small and medium sized businesses on content creation and strategy for their social media channels. I am also on the board as the social chair for the Florida Direct Marketing Association and South Florida Interactive Marketing Association. ← Are You Watching Facebook’s “Topics To Watch”? Messenger and Groups. 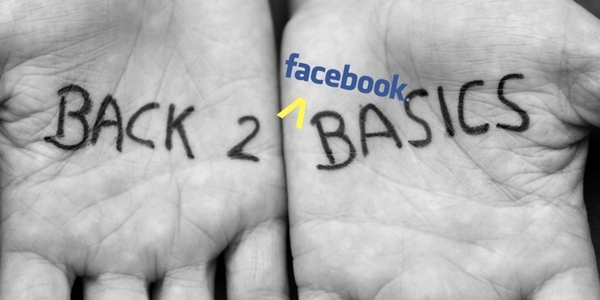 Two Elements on Facebook Every Business Should Utilize! The Interactive Imprint © 2019. All Rights Reserved.